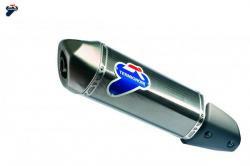 For Piaggio scooters of the Beverly, Carnaby, MP3 and X10 lines, Termignoni offers the universal homologated stainless steel exhaust. 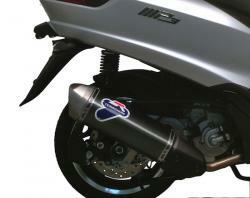 Compatible with the Aprilia, Gilera and Derbi motorcycle models, the exhaust is made of selected high quality materials that guarantee durability and resistance. 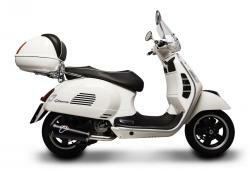 The weight reduction of the system improves the performance of the bike in terms of power and lightness, making the driving more dynamic and agile.